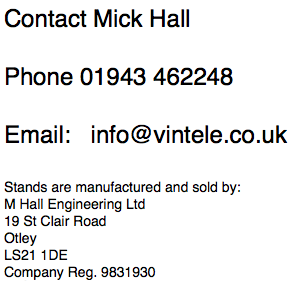 The Vintele prop stand is available in black powder coated or un-painted bright steel for you to paint yourself. 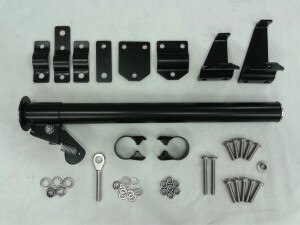 Please read page about powder coating before ordering this finish. The fixings are stainless steel. 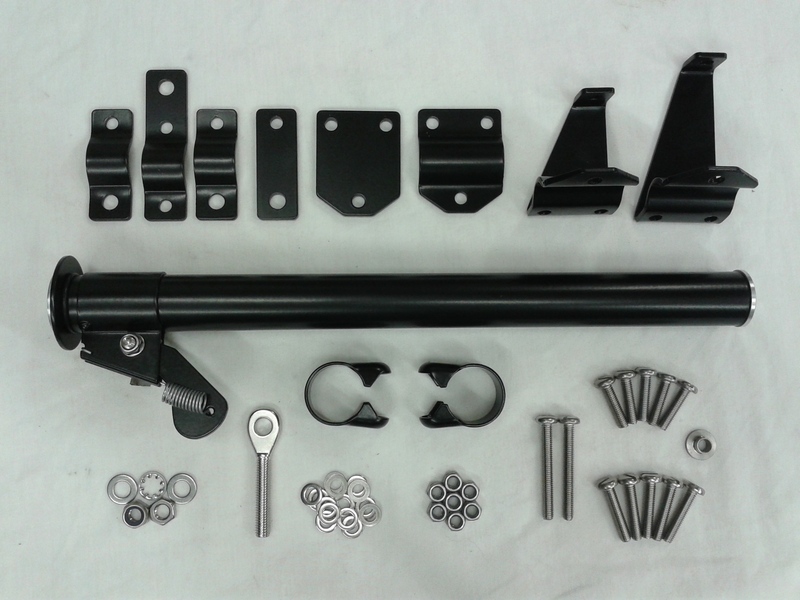 Black powder coated £133.00 includes UK postage. Un-painted bright steel £122.50 includes UK postage. Payment by cheque or bank transfer or online banking. Please double-check that you have entered your email correctly in the form.